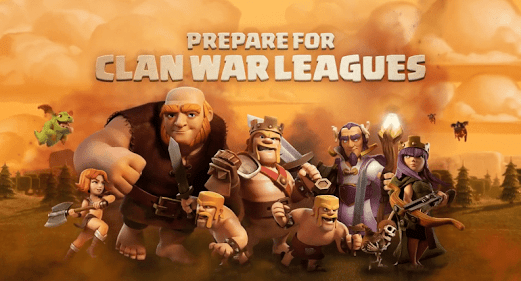 As is typical for the late October time frame, Clash of Clans received several new treats just in time for Halloween. Every year during the big holiday events a new obstacle is brought into the game. Players could remove it at a cost of 25K elixir and receive much more. But only do that once you have more than one, as the marker serves as a unique base decoration to show that you were an active player at this particular time in the game’s history. 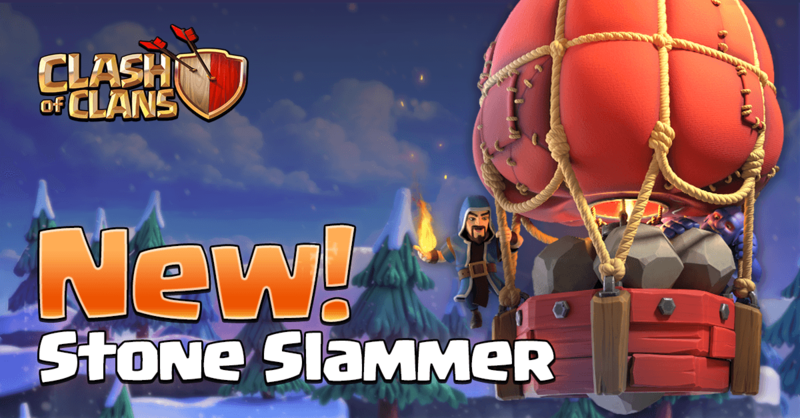 For a limited time, while the two new troops are here, players are challenged with using 48 Pumpkin Barbarians and 2 Giant Skeletons in 20 successful raids! While that may seem like a lot of attacks, the reward is a very worthwhile 250 gems. 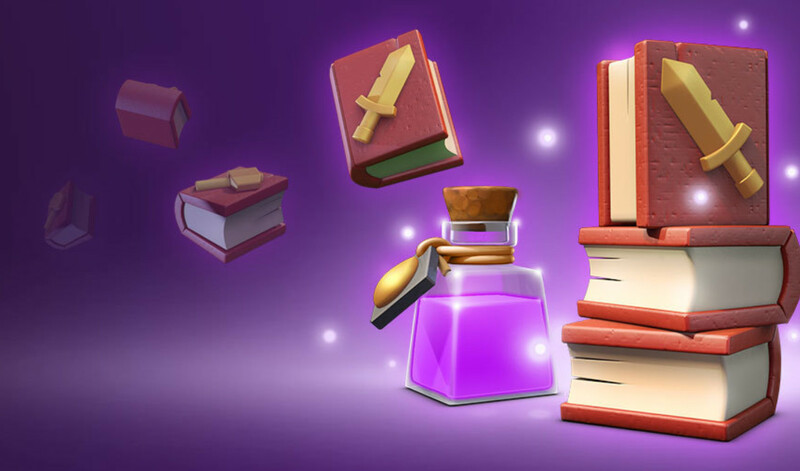 During the Halloween event time frame, players can boost their spell factories for only 1 gem. The boost will speed up the process by 4 times and last 1 hour. While not a game-changing update, enjoy the Halloween event while it is here. It’s likely these troops won’t reappear until next year, if ever. 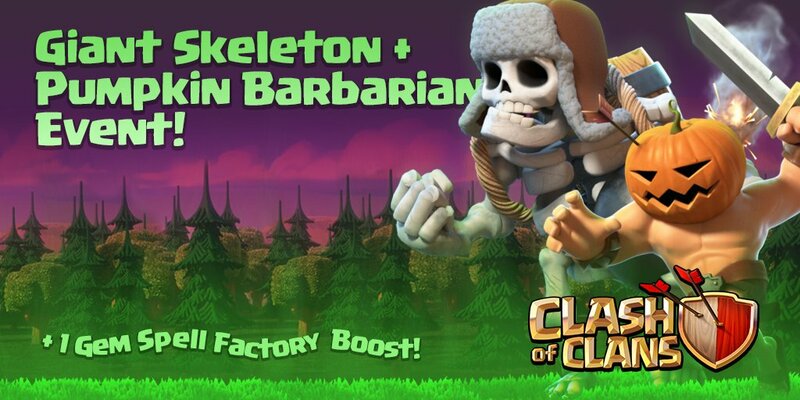 Plus, the Giant Skeleton is a worth tanking troop to target dark elixir during this week long challenge. 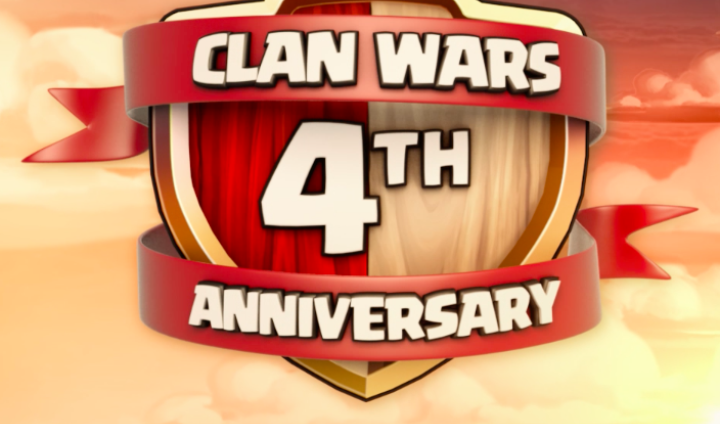 During the last update, the development team noted that this was just the ground work for future improvements to Clan Wars and the social aspect of the game. During the late December, early January holiday time frame we can expect special winter troops, events, and maybe even the Ice Wizard back. But between now and then the game will receive one major update – what could be a part of the next rollout? Not what fans of the main base want to see, but expect it. We’ve known since the launch of the new game mode that at least level 8 had been planned from the start. 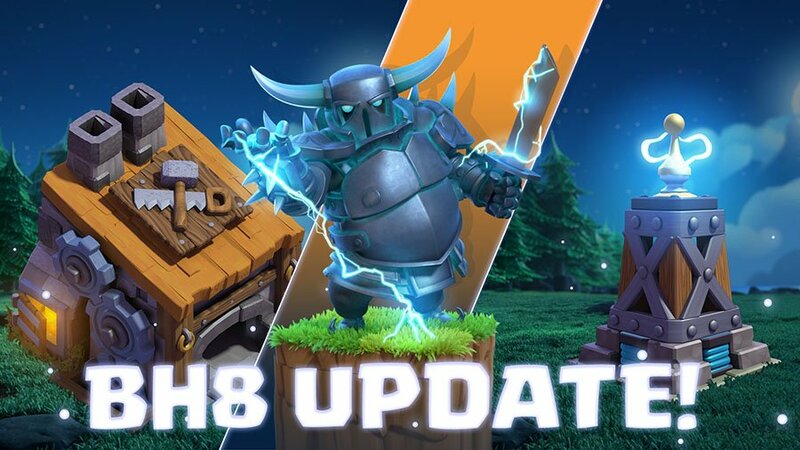 Within a month many players will have started to max out specific troops and defenses, and thus the introduction of level 8. 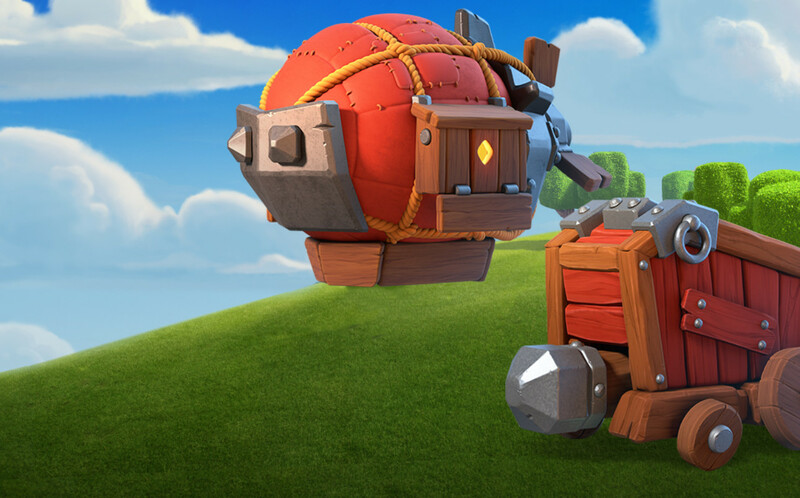 With it should come the Super Pekka and the ability to level up 1 mortar to the multi-mortar in the Home Base. Give the extra costs and only one builder, we could see BH8 be the max level for possibly 6 months after this update. These are popular with the team and will continue. Two ideas popular at the moment are (1) the ability to choose which troop types you want when requesting, to eliminate being donated the wrong troops and (2) Allowing the clan leader and co-leaders to remove and replace troops donated to defensive war castles. In the last update they rolled out changes to the clan flag and marker. We could see small perks given to clan levels 11 through 15. Nothing game changing, but to reward clans that have reached that level. 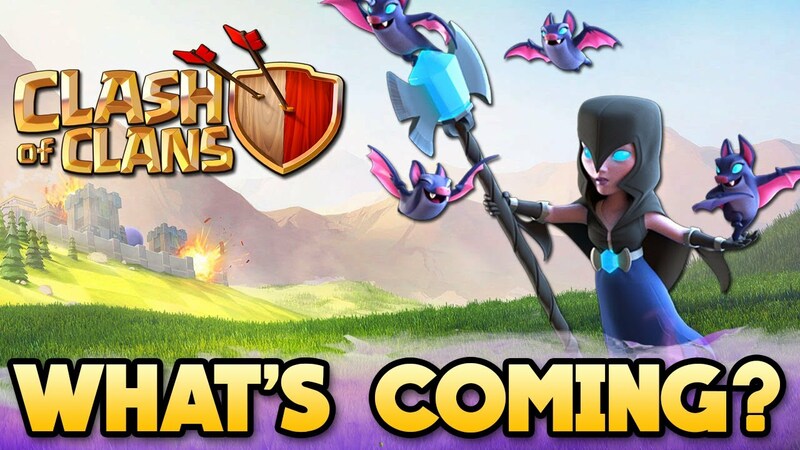 It has been over 17 months since the game got a new troop or spell. Back in May 2016 the game added the Miner, Baby Dragon, Clone Spell and Skeleton Spell. Well overdue, and something that could help the game push through the winter holiday break the company usually takes. Now leave us your thoughts. Which of these would you most like to see? Or what other ideas do you feel need to be addressed or added in next?